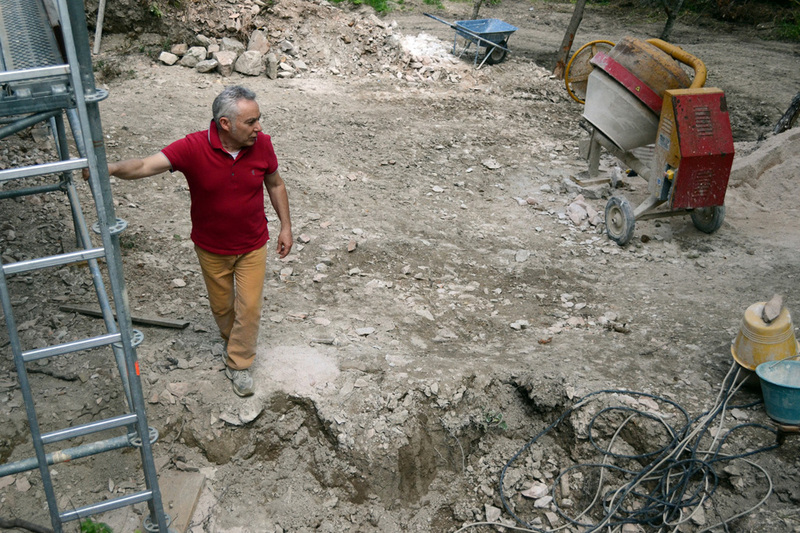 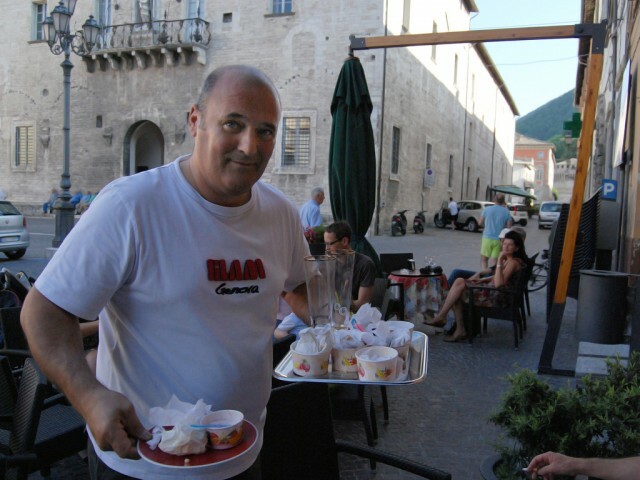 Massimo Pompili stands near the restoration site of one of the oldest structures in Cagli, Italy, at the base of Convento Cappuccini, July 6, 2013 (Photo by Agneta E. Murnan / Gonzaga in Cagli). 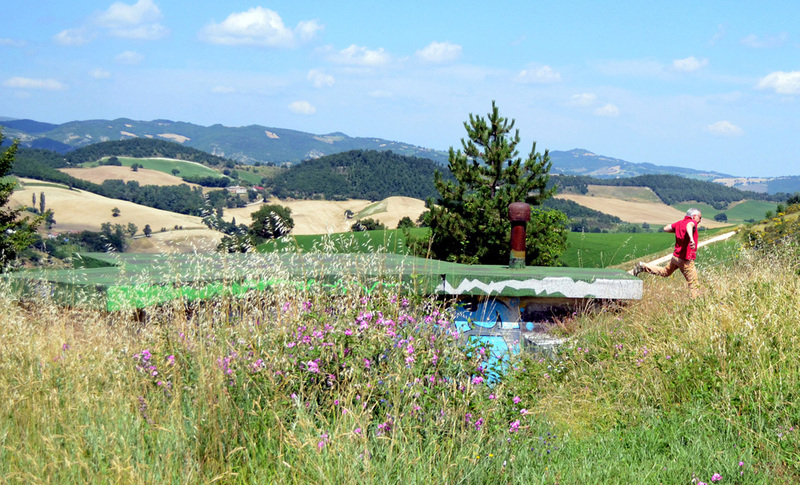 Massimo Pompili steps off the edge of a water control facility set into the hills of Cagli, Italy, July 6, 2013 (Photo by Agneta E. Murnan). 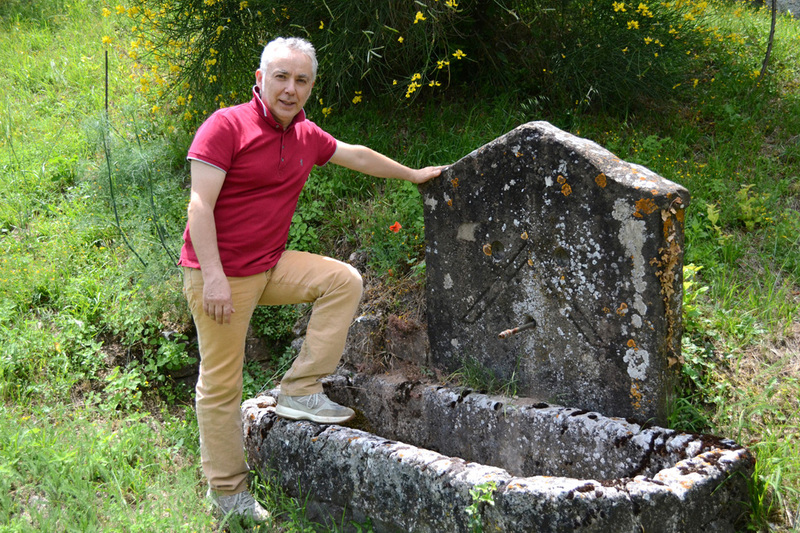 Massimo Pompili stands at the site of the first drinking water supply to Cagli, Italy, July 6, 2013 (Photo by Agneta E. Murnan / Gonzaga in Cagli). 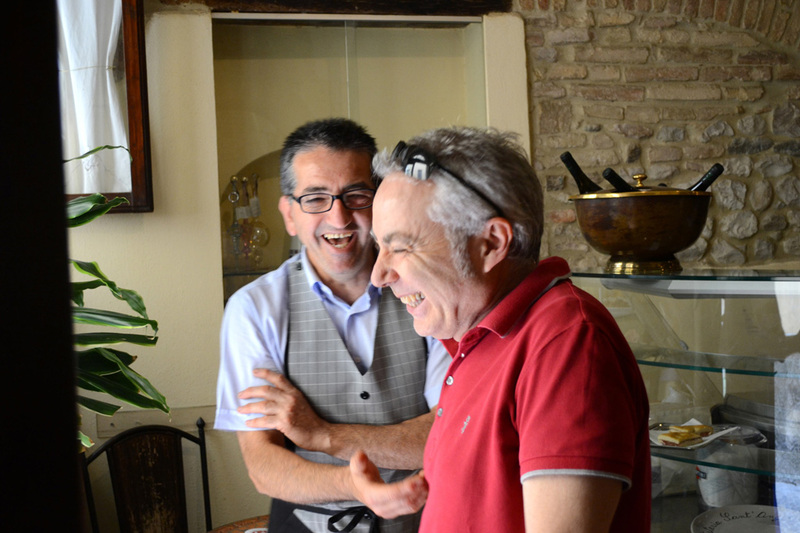 Massimo Pompili (right) laughs with a fellow Caglese in Cagli, Italy, July 6, 2013 (Photo by Agneta E. Murnan / Gonzaga in Cagli). 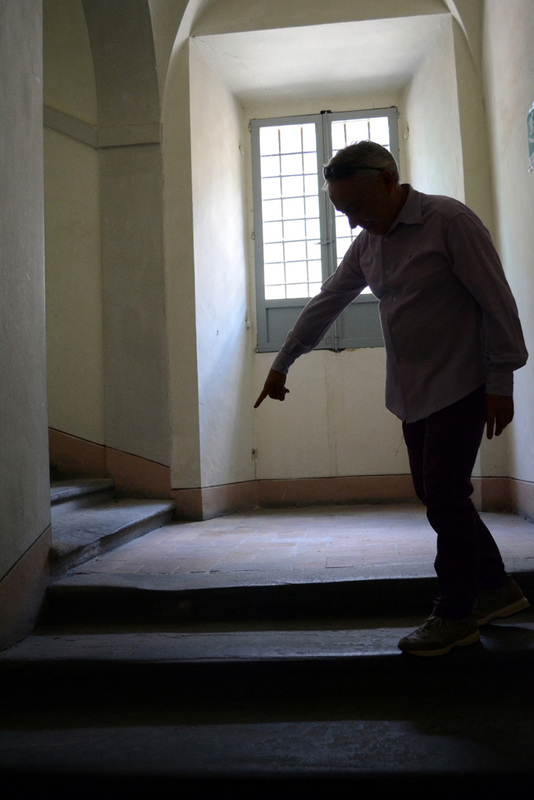 Massimo Pompili points to the indentation of stone steps in the Cagli, Italy, city hall, July 6, 2013. 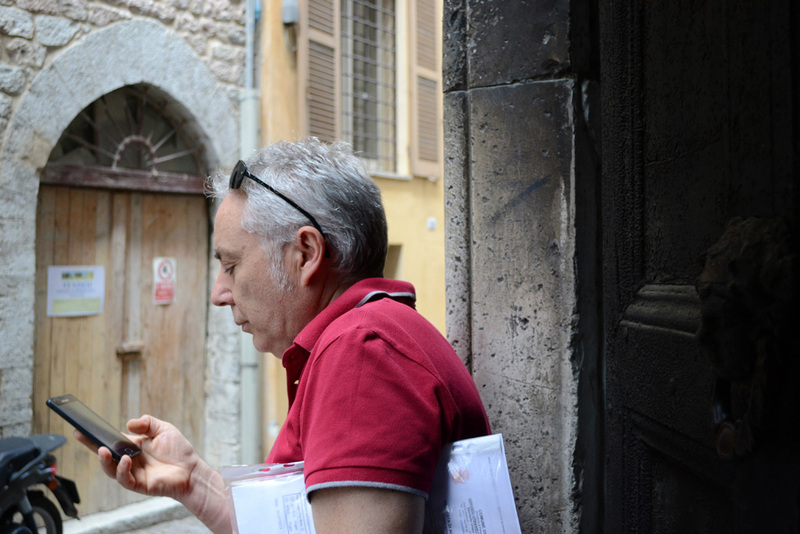 The steps have been worn low in spots by foot traffic over the course of centuries (Photo by Agneta E. Murnan / Gonzaga in Cagli). 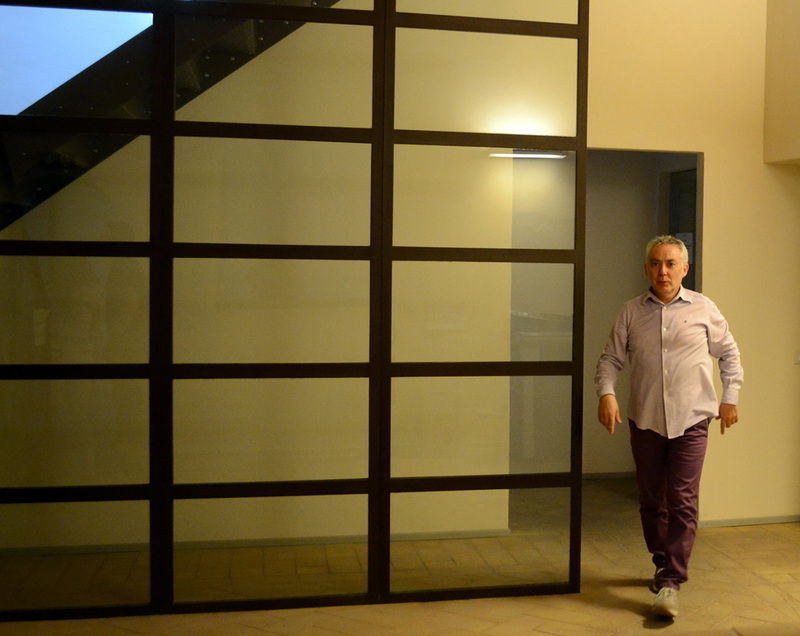 Massimo Pompili walks through a newly renovated, open foyer in the Cagli, Italy, city hall, July 6, 2013 (Photo by Agneta E. Murnan / Gonzaga in Cagli). 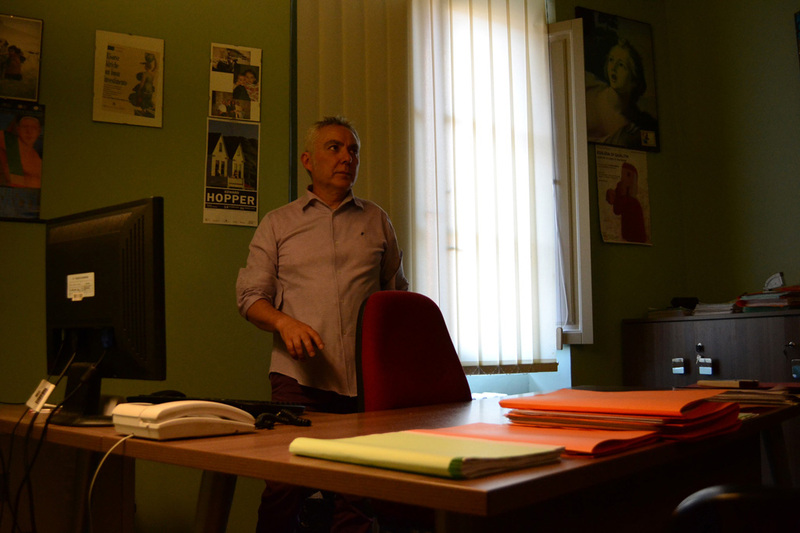 Massimo Pompili steps behind his desk in his office at the Cagli, Italy, city hall on July 4, 2013 (Photo by Agneta E. Murnan / Gonzaga in Cagli). 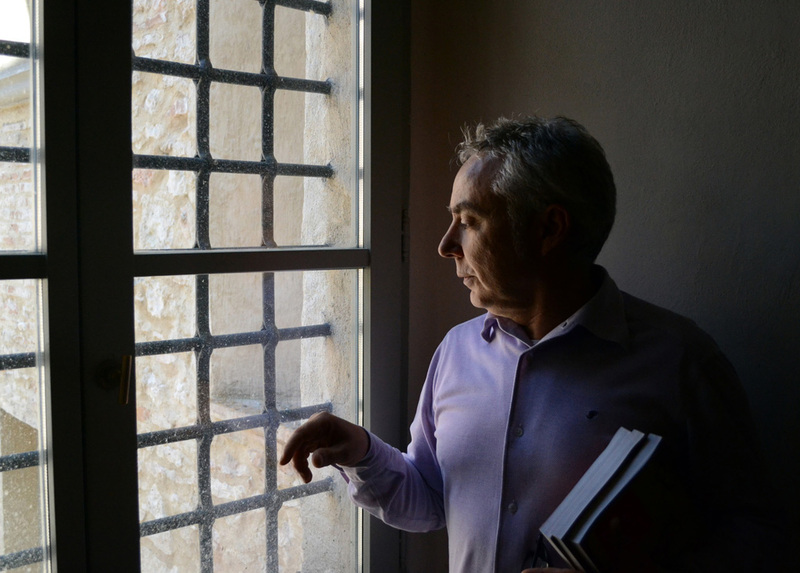 Massimo Pompili looks out from a window in the city hall of Cagli, Italy, July 4, 2013 (Photo by Agneta E. Murnan / Gonzaga in Cagli).